New Art Deco Airport Book..Help wanted..
Rosie and I are at present working on an illustrated book that focuses on the style and design of airports during the 1920s and 1930s. What we are looking for in particular are images of Schiphol and Haren suitable for reproduction and or a basis for art. There are a large number of photograph postcards of that era that may be suitable. Any other airport images of the era are welcome. So if this is of interest or in your area, I would particularly like to hear from you. Art Deco paper models, prints and cards. Anything art deco is an interest of mine. I'll be following your progress and greatly look forward to seeing your project! If you're masochistic enough to build my stuff I'm sadistic enough to keep designing it. "Rock is Dead, Long Live Paper and Scissors"
Location: Liverpool, in England but not of it. Have you considered the old Speke airport at Liverpool, not the new John Lennon one. It is one of the finest art deco airports in the world, It is now an hotel. I got these photos off the internet. Thanks for the feedback people. Bob, Speke Airport is on the list, but getting prewar images proves tough. The biggest obstacle we face is people not getting back. Have been in discussions for over a month with New Orleans (Shushan)...truly the big easy. 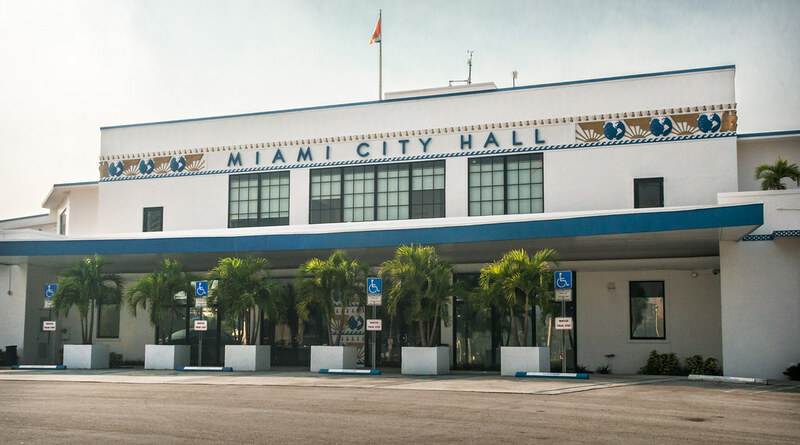 How about the 1934 Pan Am Seaplane terminal on Biscayne Bay, now completely restored and in use as Miami City Hall? Here is a clip from an old movie that stars a cameo performance by the St Louis Airport. The movie is Hollywood Hotel (1937), the song is Hooray for Hollywood, the airliner in the back ground (NC 13786) might be a DC 2, and the director none other than Busby Berkeley. Enjoy: Hollywood Hotel -- (Movie Clip) Hooray For Hollywood! I'm really looking forward to the book, Terry and Rosie! All times are GMT -6. The time now is 05:43 PM.